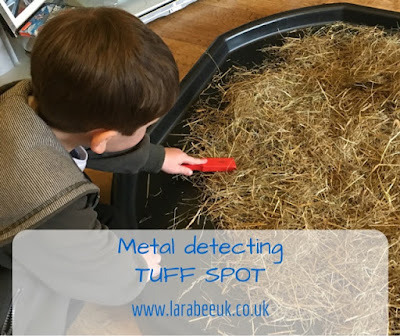 A super simple tuff spot that we really enjoyed playing with, I started out by laying lots of little metallic items on the tuff spot. I covered these with some hay, you could use shredded paper or sawdust too. 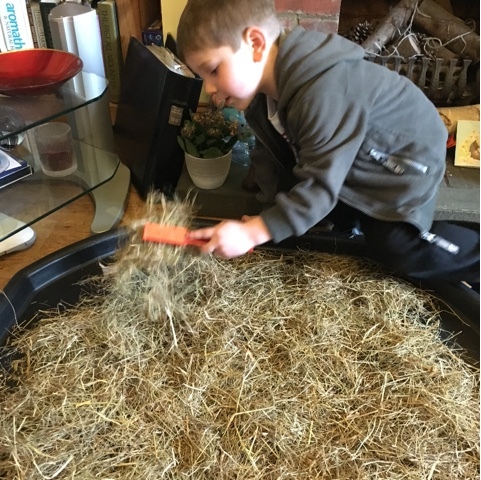 I gave T the magnet wands (again available at Imagido) and he swiped over the top of the hay picking up the different metal objects. 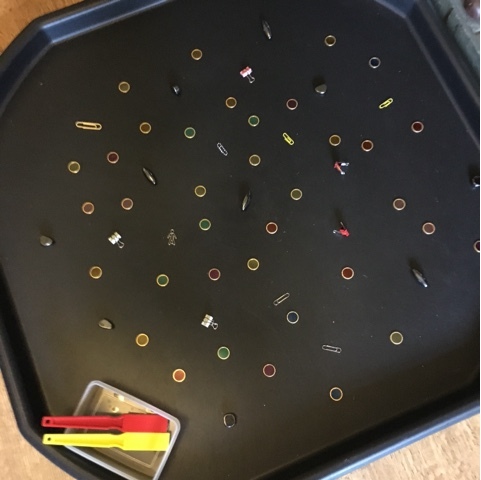 To be honest T didn't find this very stimulating, I think it would suit a younger child who would be happy to find the metal objects with the magnet wand. 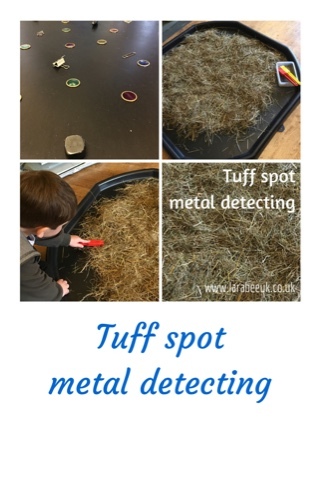 It did, however, lead to conversations about buried treasure and digging up artefacts from the past, in fact it has lead to me booking a trip to a local museum which contains roman coins found in our village by a metal detector.